Mildred Reading and Talent Club For Kids! You don’t have to wait until a child starts school to develop love for reading! 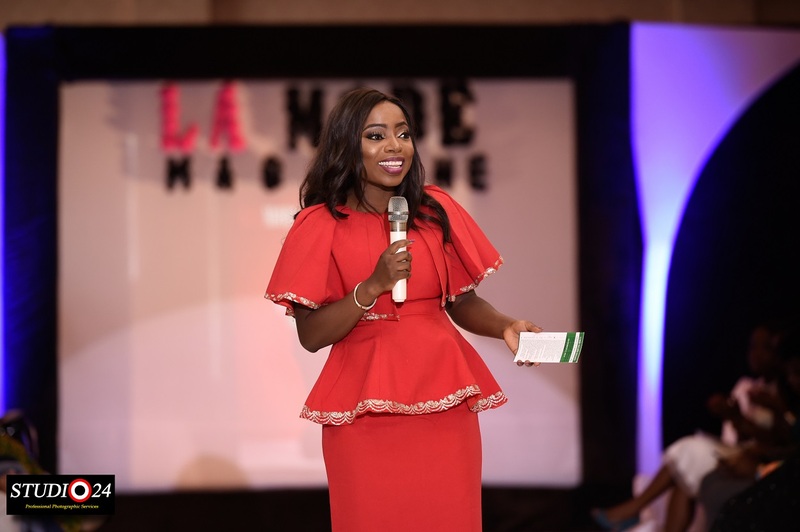 The first five years of a child’s life are very critical for literacy development and success later in life – up to 90 per cent of children with language problems at age five have poor literacy outcomes 10 years later. 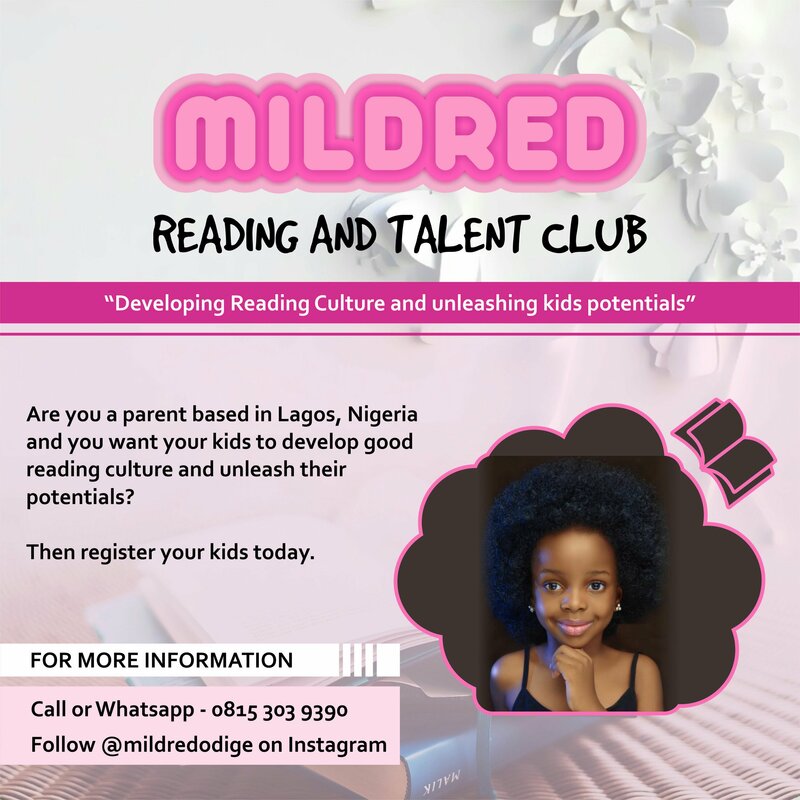 To promote early literacy development, Mildred Reading and talent club – Kids club aims at developing reading culture and unleashing the potentials of kids early. 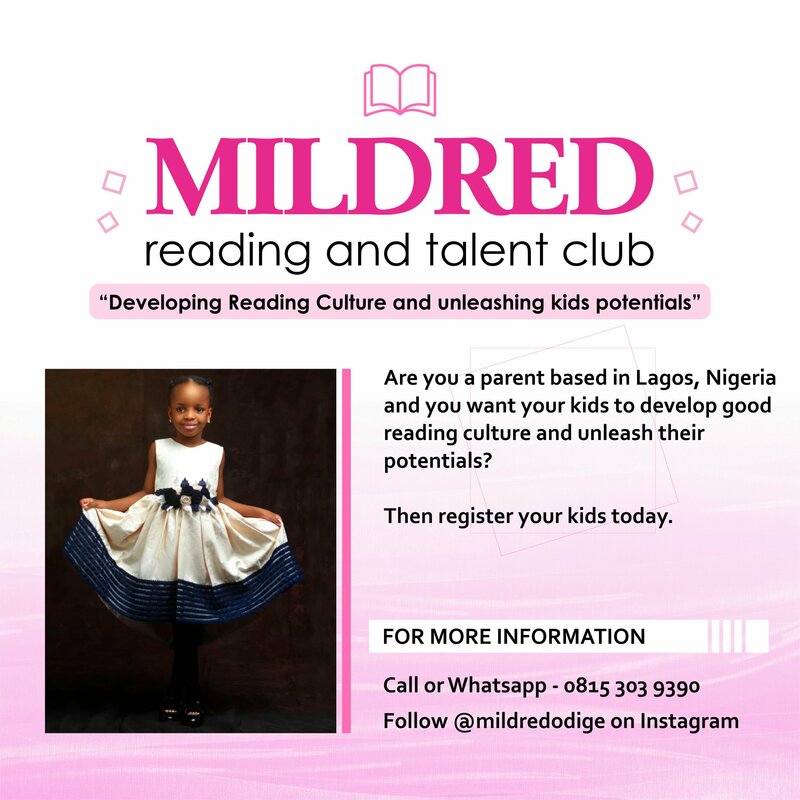 Whether your child is 3,and above a reading and talent club is a great way to support your child’s literacy and talent potentials. New York NBC Scrapped Bill Cosby Comedy Show!